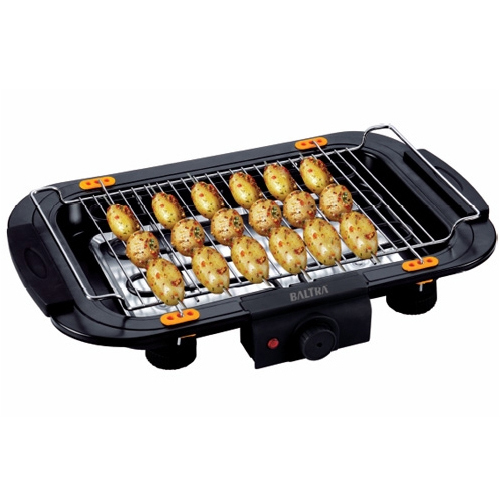 Electric Barbeque is extensively used in hotels, restaurants and household to prepare vegetable and non-vegetable. It is designed and made by using sophisticated technologies as per the set industrial guidelines under the direction of our expert professionals. Further, it is widely used in parties at home with family and friends. Our offered Electric Barbeque can be adjusted in different heights as per the convenience and known for their unique features like automatic control with thermostat, cool touch handle and easy to clean. High quality material, strong and easy to clean, adjustable height of Grill Rack, Detachable Heating Element, Oil Tray, Adjustable Temperature, Cool Touch Handle.